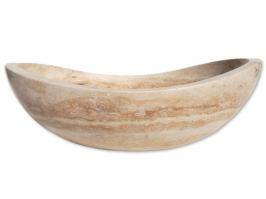 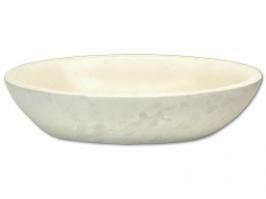 This oval vessel sink is designed so that the faucet is to be installed right on the outer rim of the bowl. The granite material is polished to a high sheen on the interior in contrast to the rough texture of the exterior. 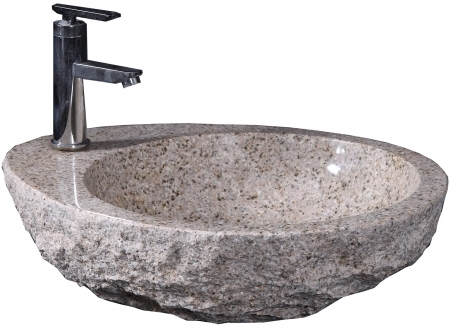 The unique color of the granite will look great with many types of dÈcor.